Like we said — what Kanye West wants, Kanye West gets. 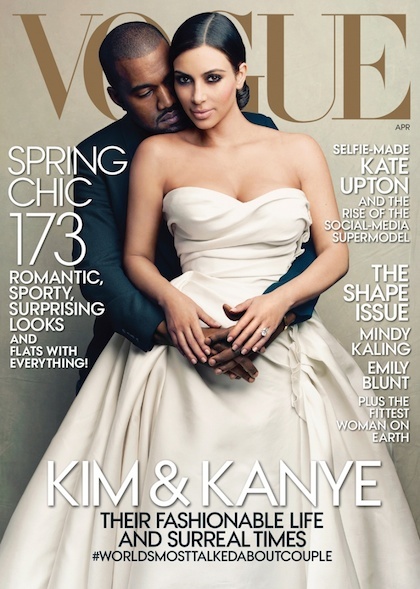 After months of pestering Anna Wintour to put his boo Kim Kardashian on the cover of Vogue, it has finally happened. Of course Kanye being Kanye, he couldn’t resist putting himself on the front too. Some people might call a reality TV star gracing the cover of Vogue the apocalypse. Others might refer to it as the end of days.